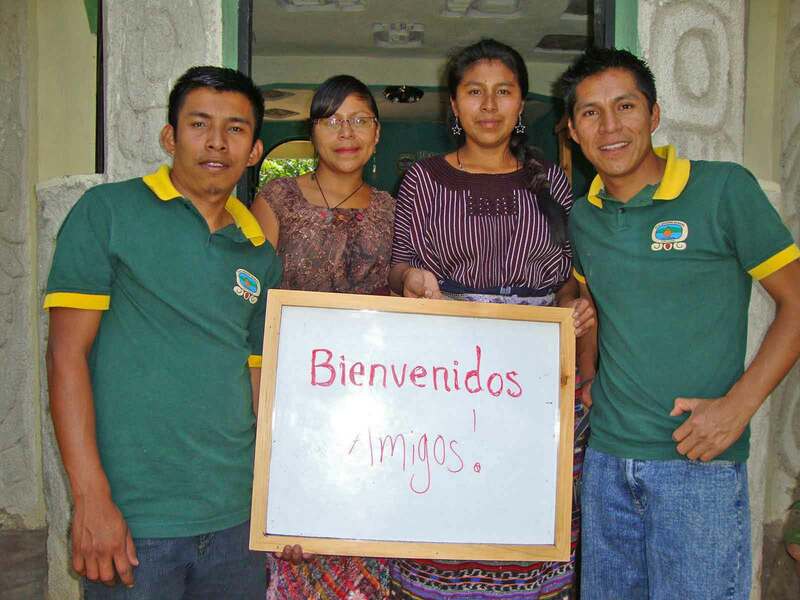 Eco Spanish School is a socially responsible educational Institute in San Juan La Laguna, Lake Atitlán, Guatemala. 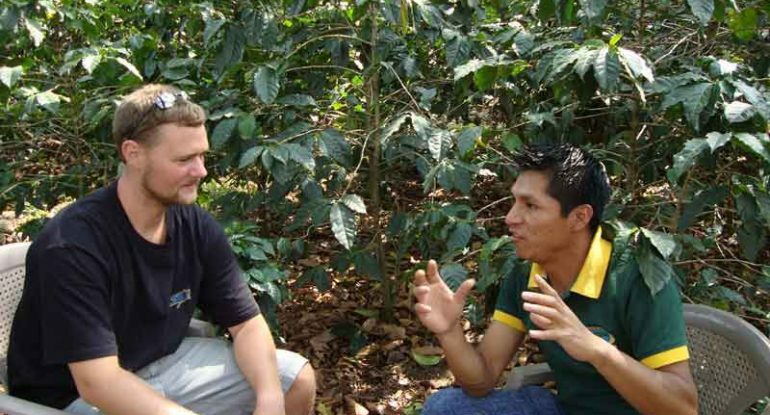 We coordinate socially responsible projects, internships, and volunteer work. We also offer travel services to students. We finally promote cross-cultural understanding through our Spanish and Tz’utujil language programs and through our cultural activities. Our mission is to introduce people from around the world to the Guatemalan, Maya and Tz’utujil cultures combined in our region. 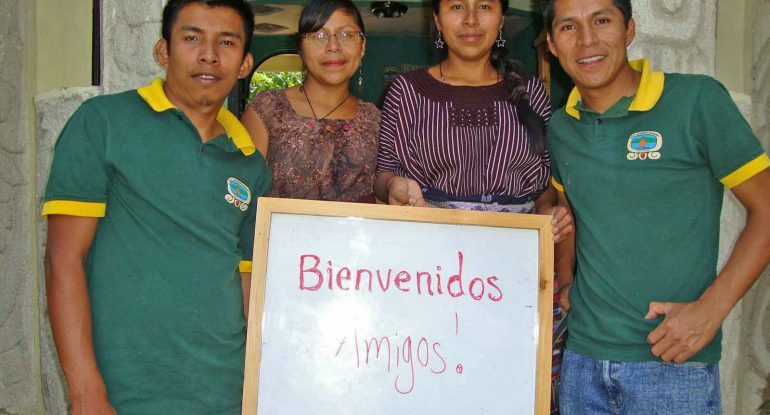 ECO SPANISH program is based on top down methodology known as Whole Language. This methodology immerses the student in the second language acquisition without the heavy use of memorization of grammar rules. It has been demonstrated through extensive research that students who learn a second language using our method tend to retain their knowledge longer. 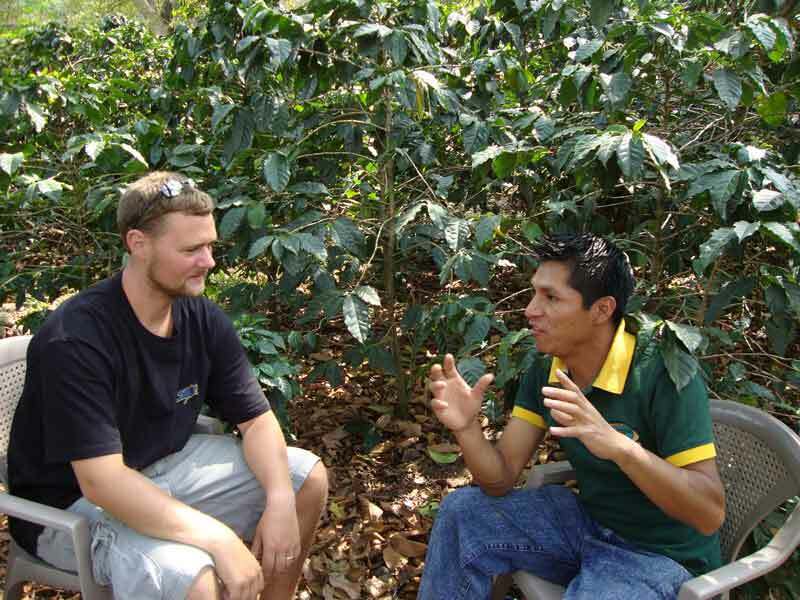 You will become immersed in a one-on-one learning process with guidance from a local mentor. Our teachers have been extensively trained to guide you in an active role during the learning process in the classroom and in daily living. 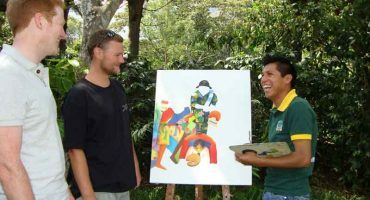 Our instruction, in addition to the language classes, will be enriched with San Juan La Laguna´s art, weaving, cooking, religion and customs. 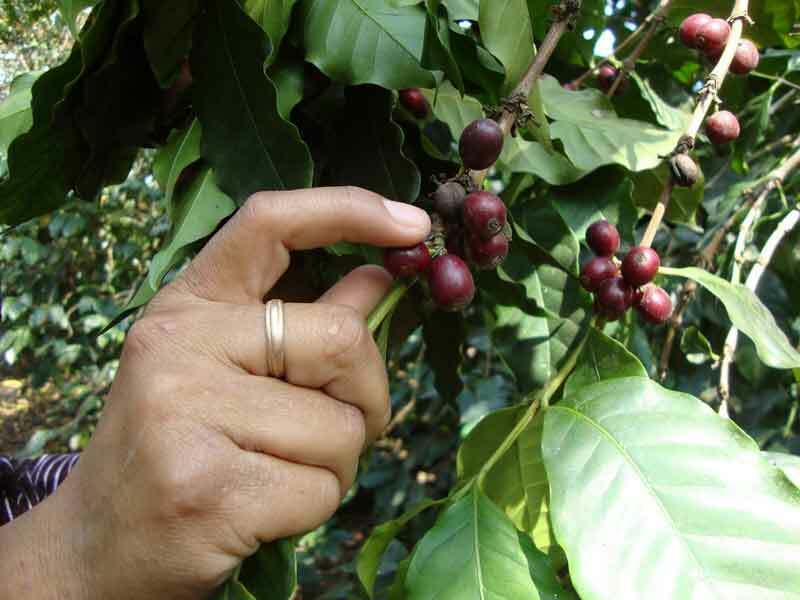 Located among lush green coffee plants and native vegetation. The peaceful environment of the classrooms provides a perfect surrounding for learning and enjoying the peace of a small community. You also have the option to learn the local Mayan dialect, Tz’utujil. 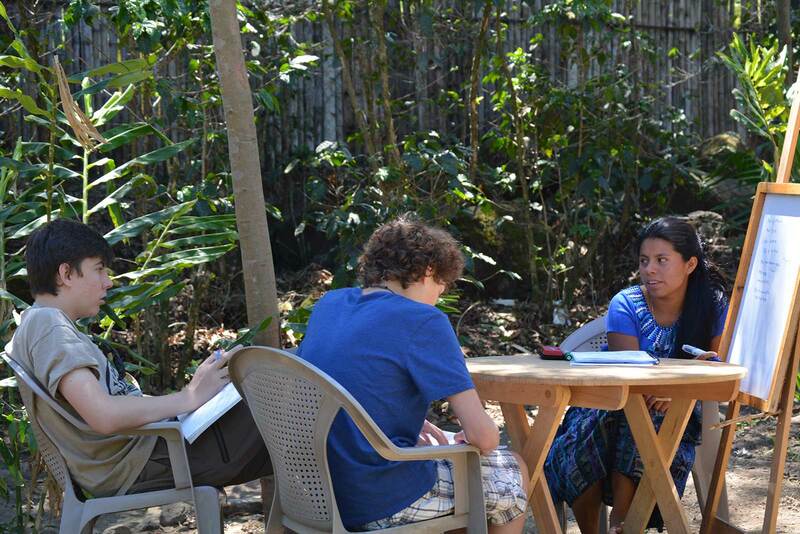 In addition to our general Spanish classes, we also offer the option to stay with a local host family. You will get a private room with 3 meals per day with the family except on Sundays. Eco Spanish is confident that your learning experience will be a success. 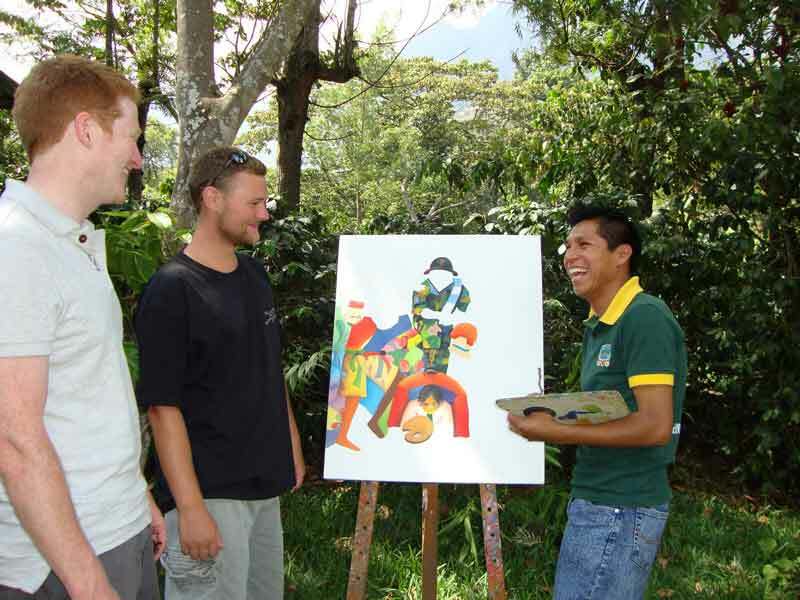 Eco Spanish School also attend students door to door with special rates. Options to sign up are shown on this page, but please contact us with any questions you may have. One-on-One classes tailored to your level of experience. 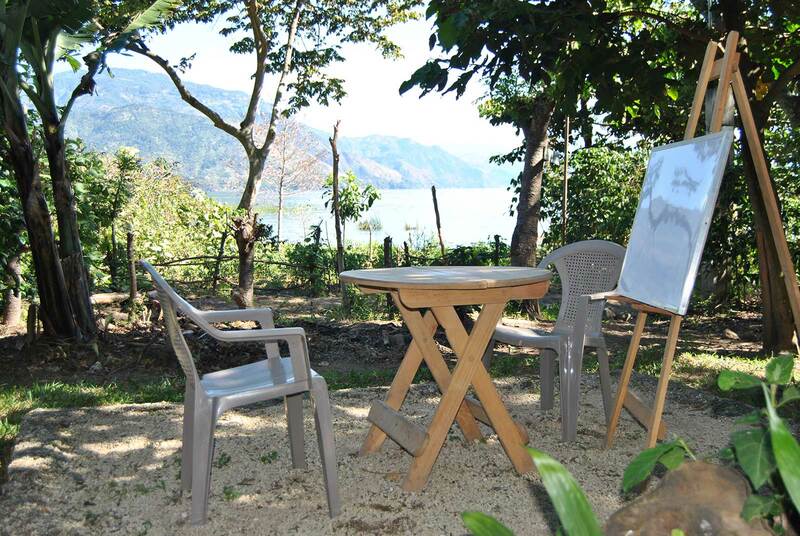 Learn in a beautiful setting surrounded by a coffee farm and Lago Atitlan. Experience the rich cultural history of Maya and Tz’utujil cultures present in the region. Classes developed using modern methodology to maximize your learning. Elect to stay with a host family for a full immersion experience. 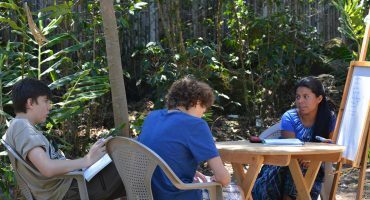 You will be paired with one of our instructors to help guide you through a fun and engaging curriculum to help you learn a new language for the purposes you want. Classes can focus on conversational travel to more advanced themes and business use. We want to ensure you maximize your experience visiting our Mayan Village and are flexible with schedules. If you have any questions or special requests, please don’t hesitate to contact us. 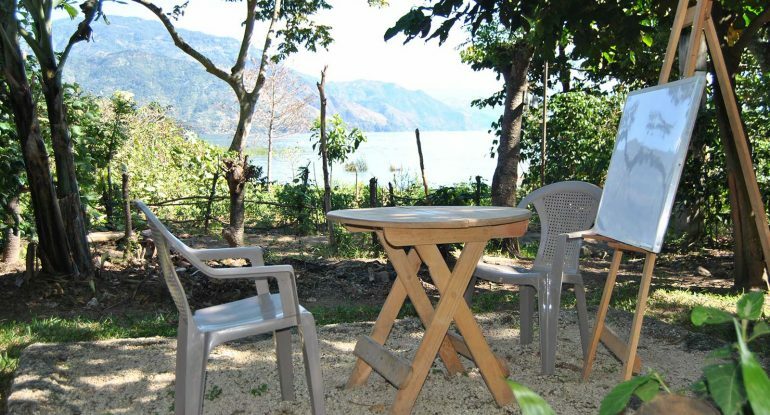 We are located in San Juan La Laguna, a small Maya Tz’utujil town on the western end of Lake Atitlán under a famous mountain called, “Nariz Maya” (Maya Nose). ECO SPANISH is a three hour drive from Antigua and easily accessible via public transportation. Take a private shuttle, chicken bus or rental car and drive through the Interamericana Highway to a crossroad called “Los Encuentros”, in kilometer 125, turn left to the town of Panajachel (The signs will help you). Once in Panajachel, ask for the public docks and take a 30 minutes boat ride to the town of San Juan, the boat costs approximately Q25. We recommend taking one of the many travel services that are available in Antigua and Guatemala City and arrange for bus service to Panajachel. You can also call us and we will help you with any transportation arrangements you need. Travel via mini bus is the most comfortable option. It is reasonably priced at around $10 to $15 dollars per person. Those that are on a tighter budget or are more adventurous can ride on a chicken bus. Bus stations are typically near the central market or central park in larger towns and cities. Travel east on the PanAmerican Highway and turn right at the 148 kilometer marker down to San Juan La Laguna. From the main dock, look for our sign on the right hand side of the road as you walk uphill after exiting your boat. Follow the small trail on your right. 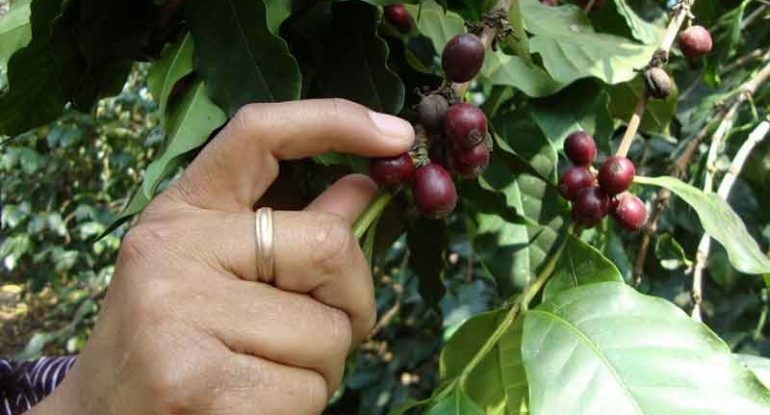 After a few houses, the trail enters a coffee plantation and in a minute or two you will find us. There is one National Bank in San Juan, Banrural. It is not difficult to change traveler’s checks, also offer ATM services. However, several ATMs are available at the nearby town, San Pedro La Laguna. n San Pedro the ATMs are located as follows: One is just off the dock and the other is located at the Bank Banrural close to the town´s center. You may also like to take a day trip to Panajachel to use the ATM and buy some European and American style food. TMs are also available at the airport in Guatemala City. You can use any type of debit-credit card with a four digit pin in Guatemalan ATM machines. There are three internet cafes in San Juan which offer reasonable prices for internet use and some offer WIFI. ($1 USD per hour). San Juan is a very peaceful town and you can walk the streets in the evening with no trouble. Be aware of chicken buses and fast traffic along the highway and occasionally in town as well. If you need to walk an extended distance at night to a nearby town we recommend you take a mototaxi (tuc-tuc), an inexpensive form of transportation and available at most hours (price ~$2.00 USD/ person). Please check with us at the school for more information about places to visit near San Juan. There are several hotels in San Juan: Hotel Maya San Juan, Hospedaje Estrella del Lago by the dock, Hotel Uxlabil and Hotel Chi-Ya and Hotel Pa Muelle. Each one offers comfortable accommodations for tourists.